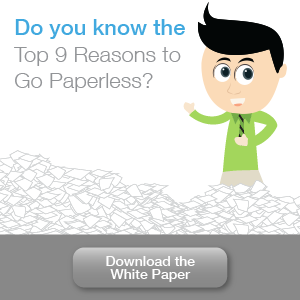 What is HIPAA-compliant document management software? The Health Insurance Portability and Accountability Act (HIPAA) is a set of regulations that ensure the security and availability of patient health information. Failure to comply may lead to massive fines and lawsuits that tarnish a company’s reputation. If you operate in the healthcare industry or in any organization with access to healthcare data, you must have the most cutting-edge tools available to guarantee compliance. Document management systems (DMS) software can help you with this, but your various options aren't all created equal in terms of HIPAA compliance. The ideal DMS must have the following features. HIPAA compliance requires powerful authentication systems to prevent unauthorized access to private information. DMS software with password verification and features that automatically log out idle users are a great start. But for extra protection, you need software that comes with multi-factor authentication. This security system requires users to provide temporary verification codes or fingerprint/facial recognition scans on top of passwords to log in, minimizing the risk of account hijacking. Users should only be given access to documents required to complete their duties, so your DMS software should enable you to set different levels of file access based on job roles or titles. For example, a receptionist shouldn’t be able to access the same information as a physician, and an employee manning the cashier must have limited access to financial data. Ensuring that both data at rest and in transit are strongly encrypted is crucial to maintaining the integrity and confidentiality of files. Although HIPAA provisions don’t specify the encryption system you should implement, look for DMS providers with 256-bit encryption — a type of encryption used by federal agencies that is virtually impossible to crack even with a super computer. Every day, dozens of programs designed to spy on and steal electronic medical records (EMRs) are released, so you’ll want DMS software that has advanced cybersecurity tools. This includes next-gen firewalls, anti-malware features, and intrusion prevention systems that protect against a wide array of cyberthreats. The best providers also offer 24/7 threat monitoring and comprehensive assessments to secure vulnerabilities that can lead to a breach. Another vital DMS feature is audit trails. This feature allows you to track which users accessed and/or modified a PHI. Transparency and oversight are helpful for pinpointing negligent and noncompliant activities, allowing you to correct them quickly as well as conveniently spot anomalies. Companies must also have backup and disaster recovery plans in the event of a system failure caused by natural disasters, hardware problems, cybercrime, and targeted attacks. A HIPAA-compliant DMS software stores your EMRs and PHI in offsite data centers that can be accessed through any internet-connected device. Top-notch providers also maintain backups of your backups, ensuring copies of your files can be recovered even if one of their data centers fail. HIPAA has a long list of requirements regarding the physical security of data-bearing servers. They must be in facilities equipped with backup power generators, video surveillance systems, fire suppressants, and door keypads to protect health records from environmental and human threats. Not many DMS providers have these measures in place, so it’s important you meet with them and discuss whether their physical safeguards are in accordance with HIPAA regulations. 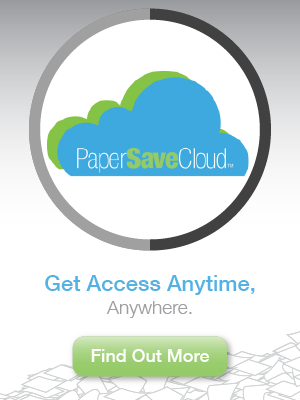 If you’re looking for a HIPAA-compliant solution, why not check out PaperSave? Our document management solution is fortified, backed up, and fully encrypted — plus, our team of specialists offer 24/7 service to keep your most valuable asset safe at all times. 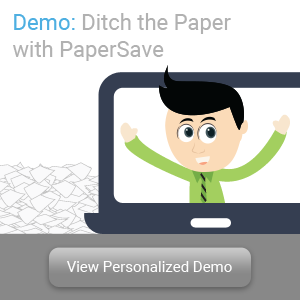 Check out our free demo to learn more about our software or contact us to discuss your needs. Not only do we help healthcare organizations, we also help finance, education, and non-profit companies comply with their industry-specific regulations.